This well established restaurant at the Lake Decatur marina had previously been known for a fine dining / jacket and tie only kind of atmosphere. 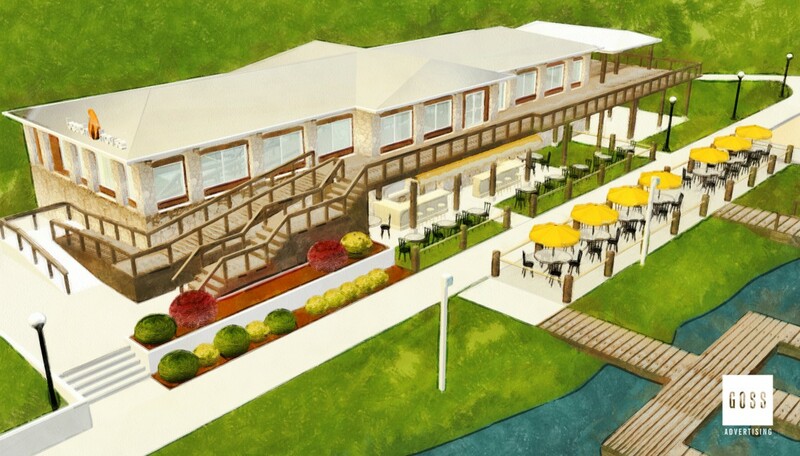 Under new ownership, the Beach House restaurant needed a new identity to help project a more casual lakeside dining experience, while still remaining upscale. 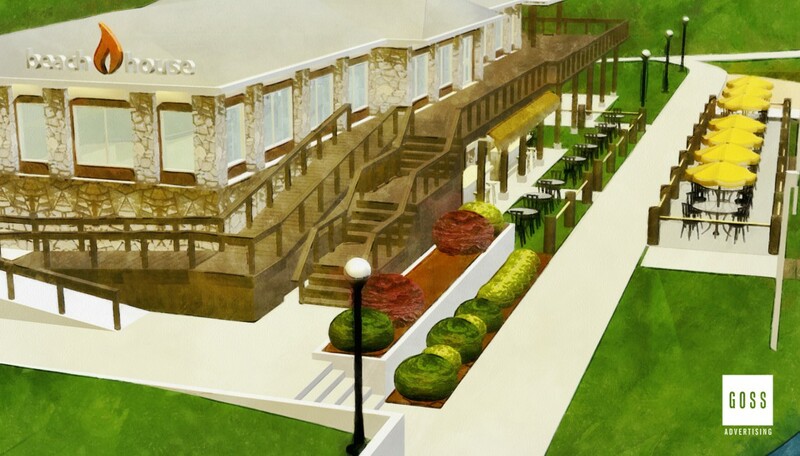 Goss Advertising created a new logo and provided 3D rendered visualizations for the rooftop sign, as well as the initial renderings for their proposed outdoor seating expansion. 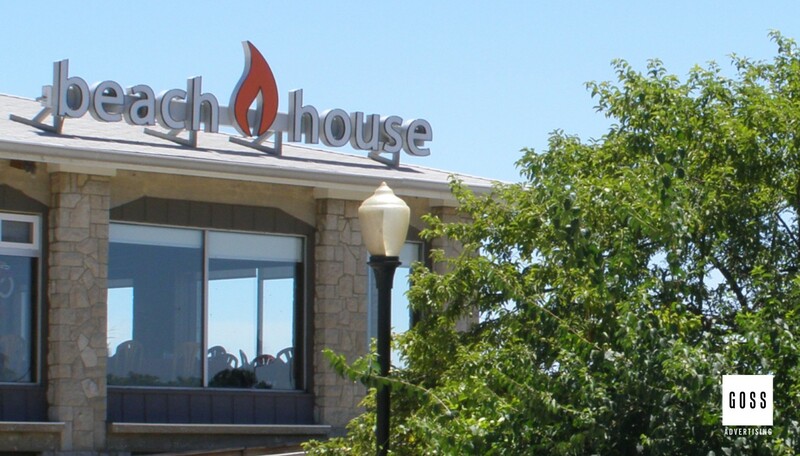 The Beach House restaurant has become a true dining destination, with a great balance of casual fine-dining, outdoor entertainment and an almost always booked banquet room. 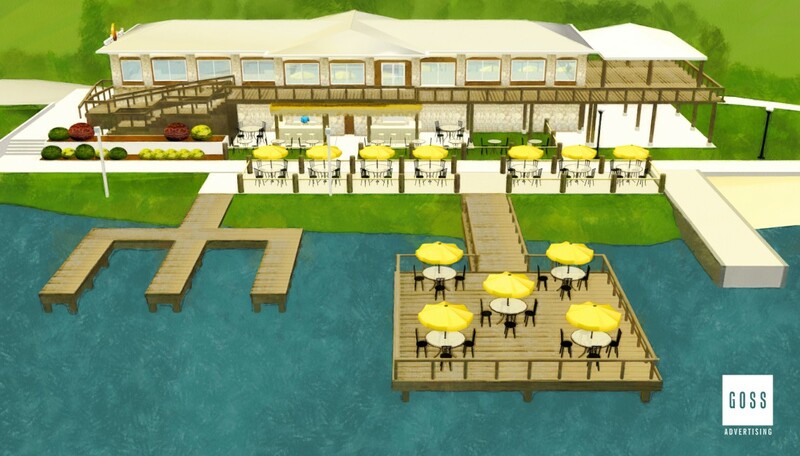 The restaurant’s success and reputation for quality has allowed them to expand into being one of the premier caterers in the area and a key player in the recently implemented Decatur Lakefront development.